All recommendations for 2017 must be received by midnight PST, January 15, 2018. The second purpose is to serve as a guide to which items were produced in 2017, to help fans determine what is eligible to nominate for the year's Ursa Major Awards (to be voted upon in 2018). Note: Recommendation of items to this list does not constitute nomination for the awards, nor is it a requirement for nomination! Nominations may not be made until January 2018 - check the Nominations page for instructions. If all details are correctly supplied, the fursuit will be eligible for an Ursa Major Award for that year only. 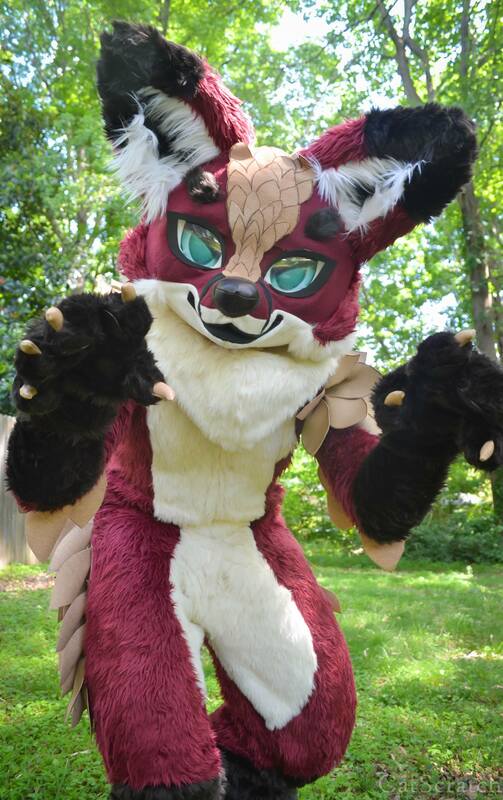 ALL fursuits are eligible for the Recommended List and as a candidate for an Award for ONE YEAR ONLY. 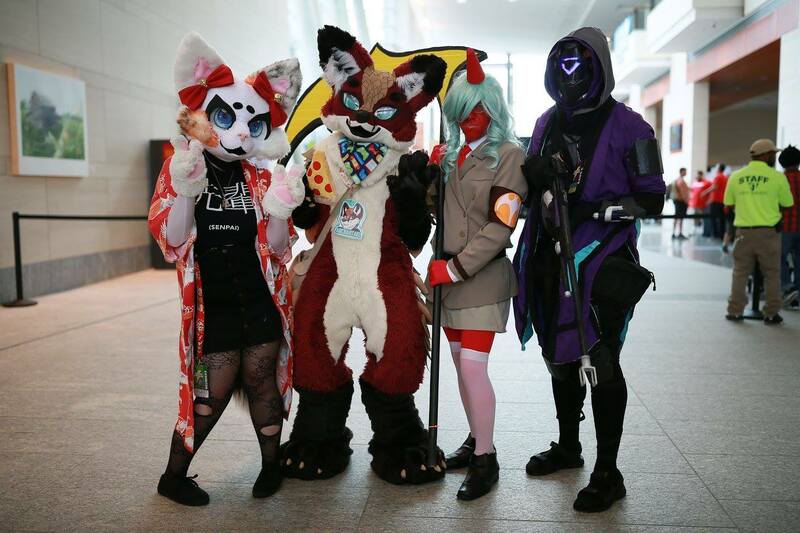 When Award nominations are opened in January, all nominees for the Fursuit category must be chosen from those on the Recommended List for the eligible year. The Ursa Major Award will be given to the fursuit maker, not the wearer/performer. Photographs will be published on this website for consideration by the public. You must have the rights to that photo and grant us permission to show it. Fire Branded Leather, by F. Gibbs. (Jaffa Books; February 18) Mature Audiences. Intimate Little Secrets, by Rechan, (FurPlanet Publications, collection, March 24) Mature Audiences. Jazz at the End of the Night, by Weasel. (WZL Productions, short story collection, December 5) Mature Audiences. Bone, cover for Always Gray in Winter, by Mark J. Engels (Thurston Howl Publications), August 10. Jack C. AKA SomeDoodNamedJack, aroo, May 13. Jack C. AKA SomeDoodNamedJack, baa, May 30. Jack C. AKA SomeDoodNamedJack, Bellybutton's failed catchphrase, February 5. Jack C. AKA SomeDoodNamedJack, Berry pickin', February 5. Jack C. AKA SomeDoodNamedJack, Bugs, March 17. Jack C. AKA SomeDoodNamedJack, buns, June 6. Jack C. AKA SomeDoodNamedJack, Cartoon violence, September 16..
Jack C. AKA SomeDoodNamedJack, Cruncher Sez, May 13..
Jack C. AKA SomeDoodNamedJack, Dead, September 6. Jack C. AKA SomeDoodNamedJack, Doodle Toons illo, September 1. Jack C. AKA SomeDoodNamedJack, Doodle Tunes poster, September 6. Jack C. AKA SomeDoodNamedJack, dunno what to name this, January 20..
Jack C. AKA SomeDoodNamedJack, Fester, April 16. Jack C. AKA SomeDoodNamedJack, From the vaults, November 1. Jack C. AKA SomeDoodNamedJack, Girl Scouts, September 22. Jack C. AKA SomeDoodNamedJack, good heavens, March 26. Jack C. AKA SomeDoodNamedJack, hubba hubba, August 12. Jack C. AKA SomeDoodNamedJack, Jealousy, March 27. Jack C. AKA SomeDoodNamedJack, Lovebunnies, January 21. Jack C. AKA SomeDoodNamedJack, Off model, February 25. Jack C. AKA SomeDoodNamedJack, o geez, April 30. Jack C. AKA SomeDoodNamedJack, oh boy, December 17. Jack C. AKA SomeDoodNamedJack, Ohhhh..., October 14. Jack C. AKA SomeDoodNamedJack, ooooo, April 18. Jack C. AKA SomeDoodNamedJack, phfpthf, April 7. Jack C. AKA SomeDoodNamedJack, Popping the question, February 21. Jack C. AKA SomeDoodNamedJack, Shirley Live, September 25. Jack C. AKA SomeDoodNamedJack, squishy head, April 20. Jack C. AKA SomeDoodNamedJack, suave, May 10. Jack C. AKA SomeDoodNamedJack, the not-quite-as-old days, August 25. Jack C. AKA SomeDoodNamedJack, the old days, August 25. Jack C. AKA SomeDoodNamedJack, they like you, August 9. Jack C. AKA SomeDoodNamedJack, Through the years, September 12. Jack C. AKA SomeDoodNamedJack, Through the years 2, October 2. Jack C. AKA SomeDoodNamedJack, What's cookin', November 16. Jack C. AKA SomeDoodNamedJack, whoa ho ho ho, December 23. Jack C. AKA SomeDoodNamedJack, workout, April 22. Jack C. AKA SomeDoodNamedJack, Ya wanted EXTRA NUTS with your sundae?! !, October 1. Jack C. AKA SomeDoodNamedJack,YOU ARE SO FLUFFYYYY, January 5. Joseph Chou, cover for Gathering Storms, by Stephen Coghlan (Thurston Howl Publications) March 31. Joseph Chou, cover for Seven Deadly Sins; Furry Confessions, ed. by Thurston Howl (Thurston Howl Publications) January 8. Sam Chung, cover for D'Arc by Robert Repino (Soho Press), May 9. Gwyn Dolyn, cover of Magnificats: Return of the Demon Wind (Plowshare Media); January 2. 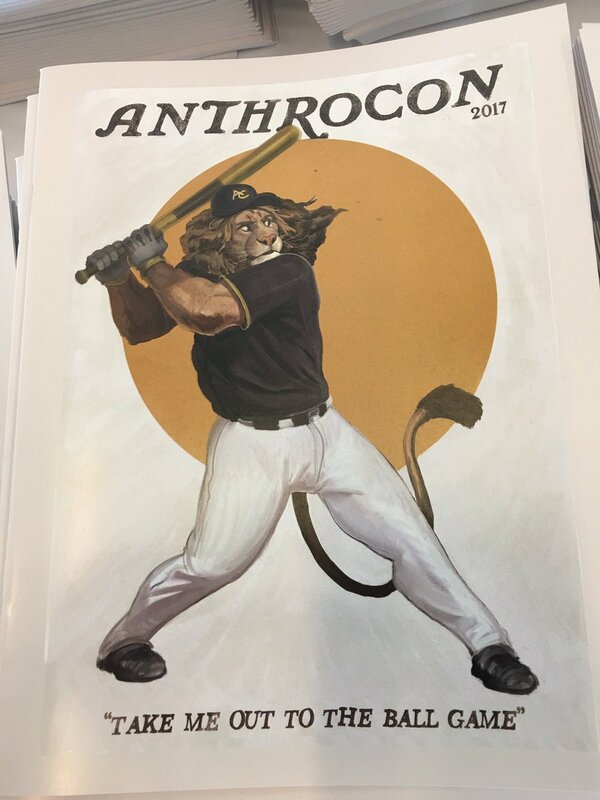 Gamutfeathers AC, Baseball Lion, cover for Anthrocon 2017 conbook, June 29. Ashley Foy AKA TheCynicalHound, Cynic In The Fall, August 20. Ashley Foy AKA TheCynicalHound, What A Beautiful View, April 22. 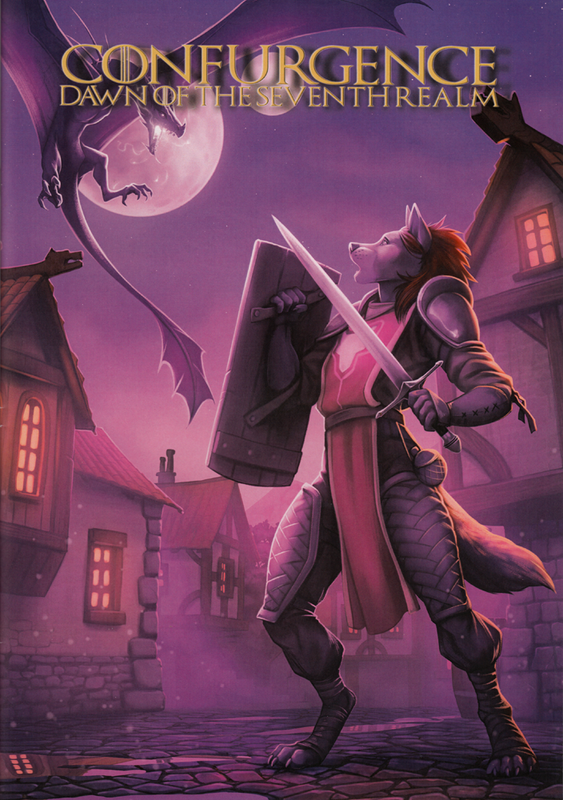 Teagan Gavet, cover for Kismet by Watts Martin (FurPlanet Productions), January 12. Idess, wraparound cover for Otters In Space 3: Octopus Ascending by Mary E. Lowd (FurPlanet Productions), June 30. Kappy, cover for Bleak Horizons, ed. 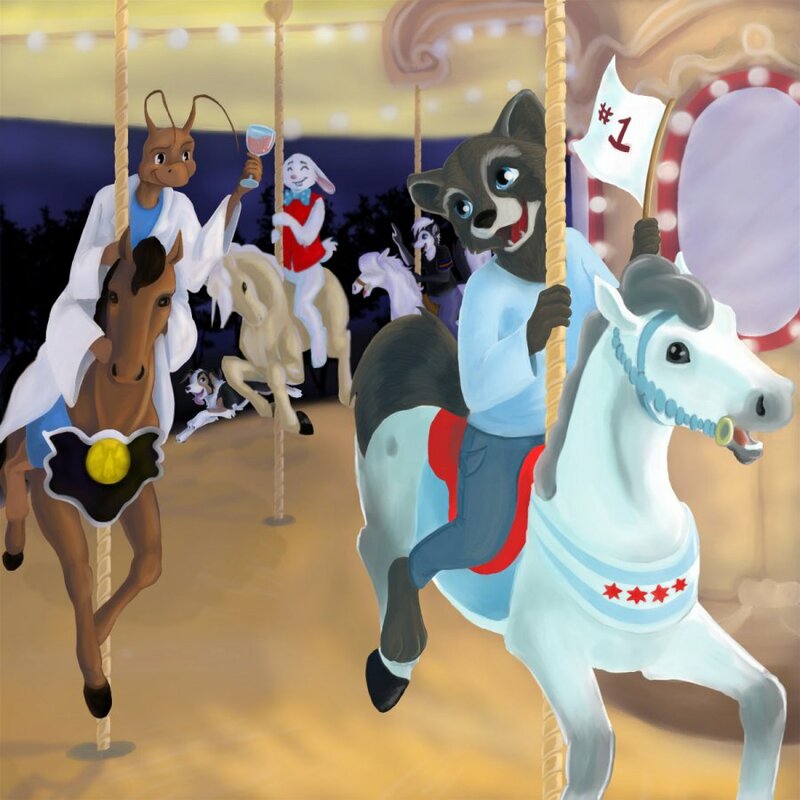 by Tarl Hoch (FurPlanet Productions), March 24. David Lillie, cover for The Wayward Astronomer, by Geoffrey Thomas (Corvus Publishing), May 9. Wolfie Nail, cover for Confurgence 2017 conbook, January 6. Boris Nikolic, cover for Zeta Hack: A Paranormal Space Opera Adventure, by Michael-Scott Earle (CreateSpace) June 25. 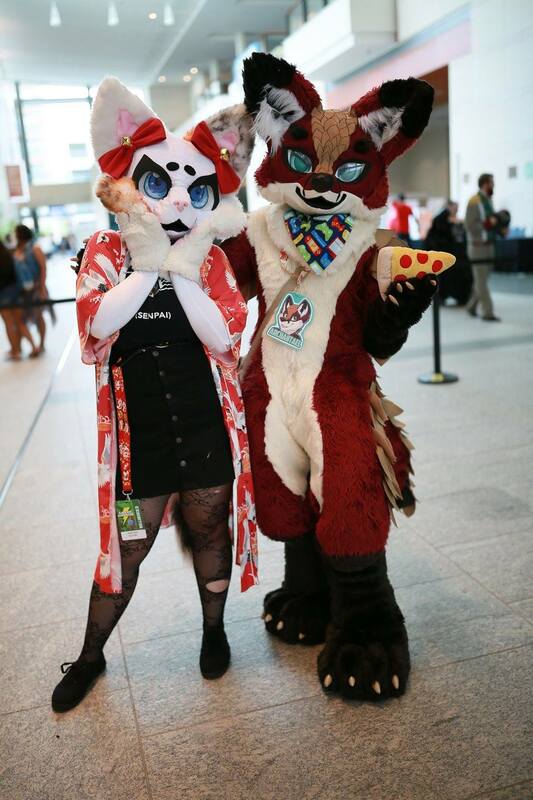 SelkieGal, illo for Midwest FurFest usurps Anthrocon's record and becomes the world's largest furry convention article in Flayrah, December 3. The Furry Writers' Guild, "Supporting, informing, elevating, and promoting quality anthropomorphic fiction and its creators."